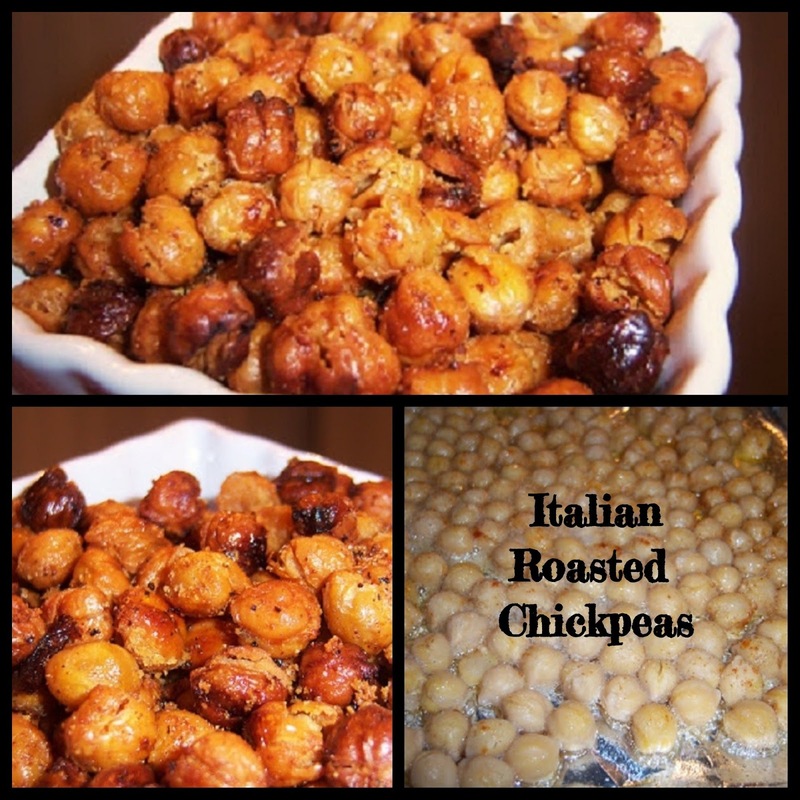 I grew up eating Roasted Chickpeas at Italian feasts in Upstate N.Y. I can't tell you how much I miss those East Utica, New York Feasts that bring back my childhood memories. The aroma of these alone was like popcorn in a theater, you couldn't resist them. Eating these just brought me back in time to a place when everyone there knew each other or was related that lived there, and this was the event of the year to go to. It still is with some of the long time natives, a tradition and event to look forward too. Utica had St. Agnes, Mount Carmel, St. Anthony feasts at various times of the year, and you couldn't miss one, those are just to name a few. Some of no longer there. These were roasted little bundles of delicious healthy flavored beans, as a kid who knew they were good for you. Plain, or flavored, they were always a favorite for me. If you like garbanzo beans, and you want to try a healthy snack this one's for you, don't miss it. Of course I still do miss those machines that roasted them fresh and the smell in the cool air that hit you in the face on beautiful July evening in Upstate Utica New, York, great memories. Chickpeas are so Healthy to snack on! The flavor is light on these but with a little heat from the cayenne pepper, you decide on what you like. Plain, garlic, hot doesn't matter, anything goes. Remember these even after you dry them will still pop, do not stick your head anywhere near these when you open the oven door! Also let them cool a little first before taking them out when done. Most of the ingredients you will already have on hand, hope you enjoy them as much as me. Even though I like to take my dried beans and add them to the slow cooker over night to make these, you certainly can use canned. The dried beans are a little heartier in texture and crunchier if you make them from scratch. Let's Get these Italian Roasted Chickpeas in the OVEN! 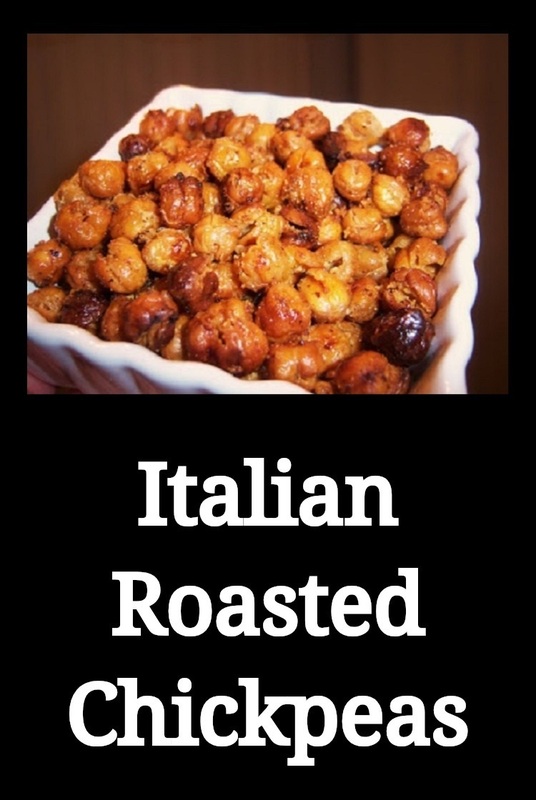 If you haven't tried this great snack of Italian Roasted Chickpeas, and you love chickpeas, this is a healthy addition to your diet. The kids love them, they taste great and they really are a weight watcher friendly. Although chickpeas are a carb, you can still enjoy this healthy snack in moderation. The Centers for Disease Control and Prevention recommends people eat more beans to increase their fiber intake because most Americans under-consume this nutrient. If you are a male, one cup of chickpeas gets you 32 percent of the recommended amount of fiber, and if you’re female, it gets you 48 percent. An article published in 2009 in “Nutrition Reviews” states a high intake of fiber decreases your risk of heart disease, stroke, high blood pressure, diabetes, obesity and gastrointestinal problems. It also improves blood sugar in diabetics and non-diabetic individuals. Even though garbanzo beans are rich in carbohydrates, diabetics need not steer clear of them. The glycemic index ranks foods on a scale of 1 to 100 based on how they affect your blood sugar and insulin. The lower the glycemic index, the better the food is for a diabetic to eat. According to the Harvard School of Public Health, 150 grams of garbanzo beans boast a glycemic index of 10. If you purchase and eat them canned in brine, the glycemic index raises to 38. I would always make them fresh not canned using the slow cooker method mentioned above. (aka Garbanzo Beans) are an addicting beans roasted in the oven with oil for a crunchy alternative to other snacks. Blot chickpeas with a paper towel to dry them VERY WELL or they start to explode in the oven. On a cookie sheet lined with tin foil and sprayed with non stick oil, also pour a very thin layer of olive oil, add chickpeas then sprinkle lightly with seasonings to your taste, with salt, black pepper, garlic powder,paprika and cayenne pepper. Tilt pan back and forth to evening coat all the beans on the baking sheet. Bake for 30 to 40 minutes, until browned and crunchy. Watch carefully the last few minutes to avoid burning. Let them cool down before taking them out. Just like popcorn they can still keep popping a little so be careful of hot oil splatters. 1 can chickpeas (AKA garbanzo beans are the same thing) 1 teaspoon ground cinnamon 1 tablespoon granulated sugar 2 teaspoons vegetable oil 1 tablespoon honey... spread on a cookie sheet lined with parchment paper on 450 until browned. watch them carefully. Ahhh yes! I've had these before, they are sooo addicting... crunch, crunch, crunch! WOW!!! I'll try this in garlic flavor! Funny - -when you said, I have the ingredients in my pantry --I literally ran and checked it out and Yesss....I do have it! i am so making these with indian spices for alans' birthday party! @dining with batali hope you like them! Love Italian cuisine very much. I'm glad to find your blog with so many yummy Italian recipes. I've never heard of roasted chickpeas. they sound and look fantastic, not to mention addicting. I'm going to have to give these a try. Wow, what a great way to cook chickpeas, never thought it would be possible! I could very easily overdose on these pretty little bites! I'm a huge chick pea fan. My New Year's diet includes adding more fiber and was looking a little bleak until now, now I have something to look forward to! Adore these. They will be on my table New Year's! Bet I cannot eat just one. We're having a dinner to ring in the New Year and I will be serving these for sure-- perfect pre-dinner munchie! Mmmm...these chickpeas look delicious! I have a big packet of chickpeas. Hope to try out soon. Thanks for sharing. Happy New Year! I love these! Such a great treat and they had fallen out of my repertoire, thanks for reminding me! Looking forward to giving them a try! My husband is addicted to chickpeas. I'm definitely making these for him. Thanks again! Got a batch of these in my oven at this very moment--part of my high fiber New Year's diet. I'd rather have a peice of your sour cream coffee cake, but have to admit the chick peas are smelling very nice at the moment. I cannot wait to try these!! !